In order to survive in a modern and competitive environment, organizations need to carefully organize their activities regarding quality management. TQM and six sigma are the approaches that have been successful in solving intricate quality problems in products and services. This volume can help those who are interested in the quality management field to understand core ideas along with contemporary efforts done in the field and authored as case studies in this volume. This volume may be useful to students, academics and practitioners across diversified disciplines. If you do not measure, you do not know, and if you do not know, you cannot manage. 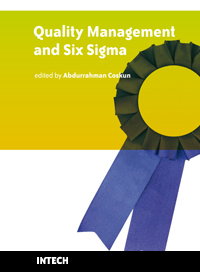 Modern Quality Management and Six Sigma shows us how to measure and, consequently, how to manage the companies in business and industries. Six Sigma provides principles and tools that can be applied to any process as a means used to measure defects and/or error rates. In the new millennium thousands of people work in various companies that use Modern Quality Management and Six Sigma to reduce the cost of products and eliminate the defects. 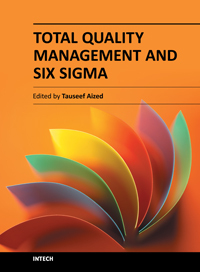 This book provides the necessary guidance for selecting, performing and evaluating various procedures of Quality Management and particularly Six Sigma. In the book you will see how to use data, i.e. plot, interpret and validate it for Six Sigma projects in business, industry and even in medical laboratories. In the new millennium the increasing expectation of customers and products complexity has forced companies to find new solutions and better alternatives to improve the quality of their products. Lean and Six Sigma methodology provides the best solutions to many problems and can be used as an accelerator in industry, business and even health care sectors. Due to its flexible nature, the Lean and Six Sigma methodology was rapidly adopted by many top and even small companies. This book provides the necessary guidance for selecting, performing and evaluating various procedures of Lean and Six Sigma. 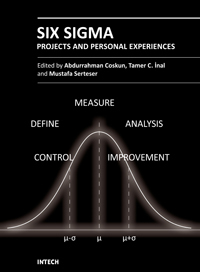 In the book you will find personal experiences in the field of Lean and Six Sigma projects in business, industry and health sectors. Progress in agricultural, biomedical and industrial applications' is a compilation of recent advances and developments in gas chromatography and its applications. The chapters cover various aspects of applications ranging from basic biological, biomedical applications to industrial applications. 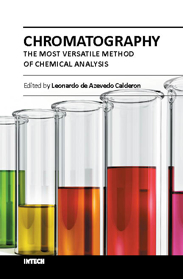 Book chapters analyze new developments in chromatographic columns, microextraction techniques, derivatisation techniques and pyrolysis techniques. 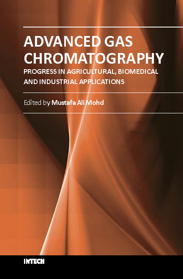 The book also includes several aspects of basic chromatography techniques and is suitable for both young and advanced chromatographers. It includes some new developments in chromatography such as multidimensional chromatography, inverse chromatography and some discussions on two-dimensional chromatography. The topics covered include analysis of volatiles, toxicants, indoor air, petroleum hydrocarbons, organometallic compounds and natural products. The chapters were written by experts from various fields and clearly assisted by simple diagrams and tables. This book is highly recommended for chemists as well as non-chemists working in gas chromatography. 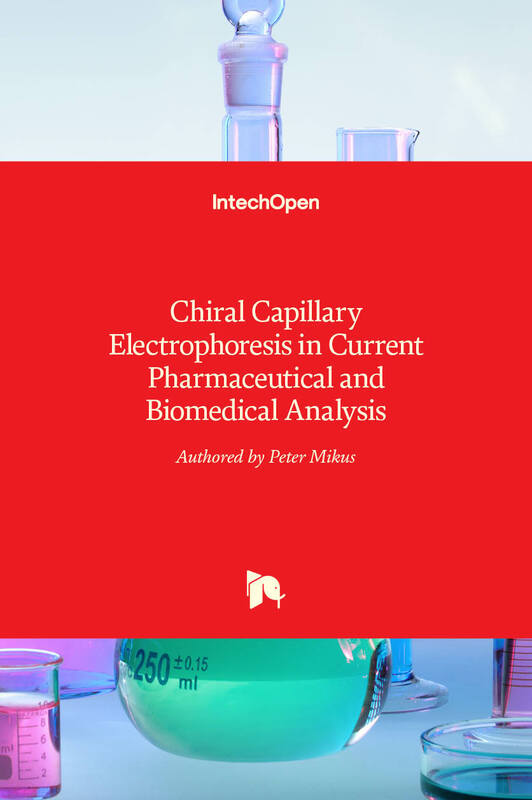 The scientific monograph by the author Peter Mikus entitled "Chiral Capillary Electrophoresis in Current Pharmaceutical and Biomedical Analysis" provides a comprehensive view on the advanced capillary electrophoresis techniques aimed to current chiral bioanalysis. The advances in the chiral electrophoresis analytical approaches are divided and theoretically described in three sections involving (i) advanced chiral separations for the optimization of chiral resolution (separation mechanisms; electrophoresis techniques in capillary and microchip format; electrophoretic modes such as ITP, CZE/EKC, CEC; chiral additives / pseudophases / phases), (ii) advanced sample preparation for the on-line preconcentration, sample clean-up and analyte derivatization (implementation of electrophoretic effects such as stacking; non-electrophoretic effects such as SPE, chromatography, dialysis; combinations of these effects; multidimensional CE systems; instrumental schemes), (iii) advanced combinations of detection and electrophoresis for the optimization in qualitative and quantitative evaluation (the most important universal as well as selective detection approaches such as absorption and fluorescence spectrophotometry, electrochemical detection, mass spectrometry vs. (i) and/or (ii)). Real analytical potential (benefits and limitations) of these advanced analytical approaches is emphasized by selected performance parameters of the methods and illustrated by many current practical applications including chiral analyses of drugs, their (bio)degradation products and biomarkers in pharmaceutical and biological matrices. The author wishes the readers many inspirations in the creation of new innovative approaches in the field of advanced chiral electrophoresis techniques with the aim to overcome capabilities of the current analytical techniques. Nowadays, Chromatography is the most versatile and widespread technique employed in modern chemical analysis and plays a vital role in the advancement of chemistry, biology, medicine and related fields of research. Because of the inherent simplicity and ease of operation, it can be used together with a wide range of detection systems, including electrochemical, photometric and mass spectrometry, being an invaluable laboratory tool for the separation and identification of compounds. The purpose of this book is not only to present the latest state and development tendencies of chromatography, but to bring the reader useful information on separation sciences to enable him to use chromatography on his research field. Taking into account the large amount of knowledge about chromatography theory and practice presented in the book, it has three major parts: applications, theory and sample preparation. The book is also intended for both graduate and postgraduate students in fields such as chemistry, biology, biotechnology, forensic, medicine, pharmacology and engineering, and as a reference for professionals and practitioners. New analytical strategies and techniques are necessary to meet requirements of modern technologies and new materials. 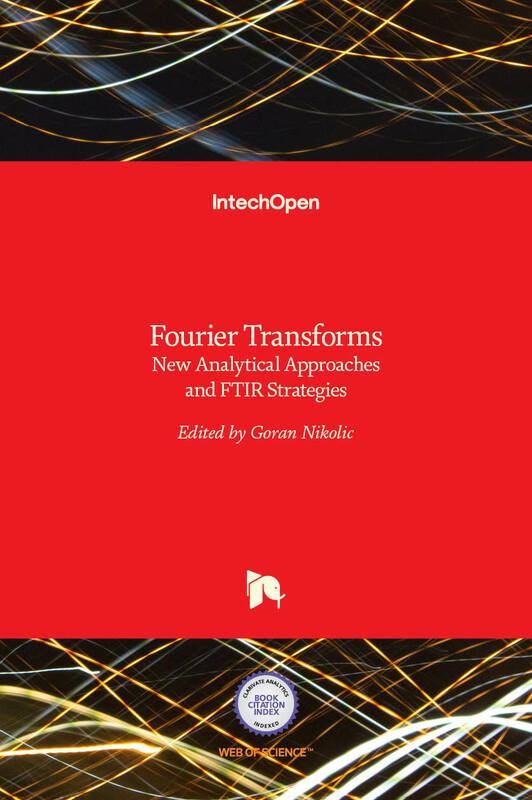 In this sense, this book provides a thorough review of current analytical approaches, industrial practices, and strategies in Fourier transform application. Crystallization is used at some stage in nearly all process industries as a method of production, purification or recovery of solid materials. In recent years, a number of new applications have also come to rely on crystallization processes such as the crystallization of nano and amorphous materials. The articles for this book have been contributed by the most respected researchers in this area and cover the frontier areas of research and developments in crystallization processes. 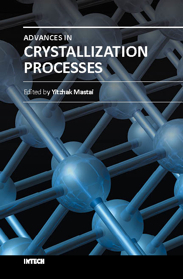 Divided into five parts this book provides the latest research developments in many aspects of crystallization including: chiral crystallization, crystallization of nanomaterials and the crystallization of amorphous and glassy materials. This book is of interest to both fundamental research and also to practicing scientists and will prove invaluable to all chemical engineers and industrial chemists in the process industries as well as crystallization workers and students in industry and academia. The purpose of supply chain management is to make production system manage production process, improve customer satisfaction and reduce total work cost. With indubitable significance, supply chain management attracts extensive attention from businesses and academic scholars. Many important research findings and results had been achieved. Research work of supply chain management involves all activities and processes including planning, coordination, operation, control and optimization of the whole supply chain system. This book presents a collection of recent contributions of new methods and innovative ideas from the worldwide researchers. 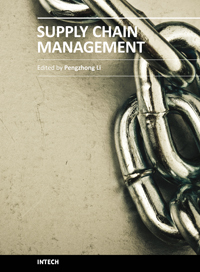 It is aimed at providing a helpful reference of new ideas, original results and practical experiences regarding this highly up-to-date field for researchers, scientists, engineers and students interested in supply chain management. 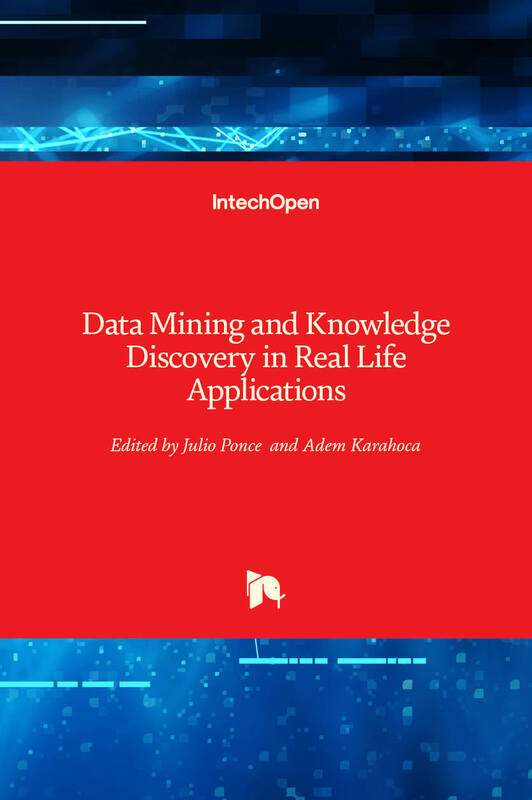 This book presents four different ways of theoretical and practical advances and applications of data mining in different promising areas like Industrialist, Biological, and Social. Twenty six chapters cover different special topics with proposed novel ideas. Each chapter gives an overview of the subjects and some of the chapters have cases with offered data mining solutions. We hope that this book will be a useful aid in showing a right way for the students, researchers and practitioners in their studies. This book provides recent information on various analytical procedures and techniques, representing strategies for reliability, specificity, selectivity and sensitivity improvements in pesticides analysis. The volume covers three main topics: current trends in sample preparation, selective and sensitive chromatographic detection and determination of pesticide residues in food and environmental samples, and the application of biological (immunoassays-and biosensors-based) methods in pesticides analysis as an alternative to the chromatographic methods for "in situ" and "on line" pesticides quantification. 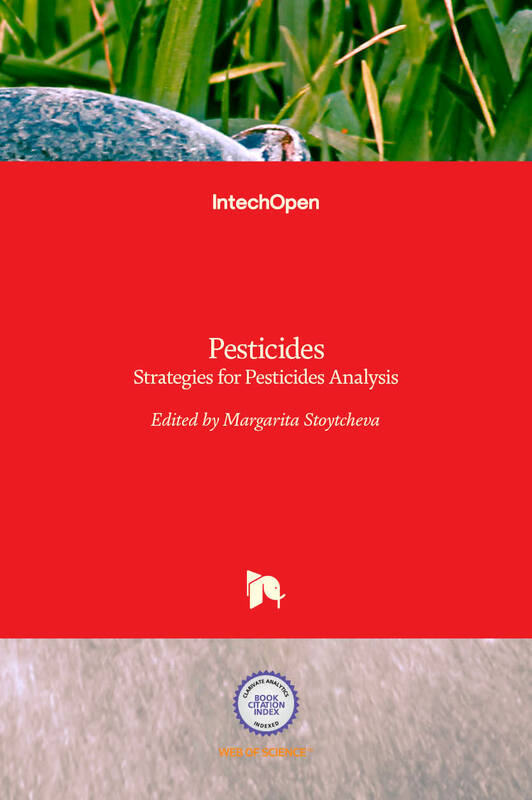 Intended as electronic edition, providing immediate "open access" to its content, the book is easy to follow and will be of interest to professionals involved in pesticides analysis. Principles of Instrumental Analysis 6th Edition by Douglas A. Skoog, F. James Holler, Stanley R. Crouch has long been the standard for courses that deal with the principles and applications of modern analytical instruments. Now with their new Sixth Edition, authors Douglas A. Skoog, F. James Holler, and Stanley R. Crouch infuse their popular text with updated techniques as well as new Instrumental Analysis in Action case studies. The book's updated material enhances its proven approach, which places an emphasis on the theoretical basis of each type of instrument, its optimal area of application, its sensitivity, its precision, and its limitations. Principles of Instrumental Analysis 6th Edition also introduces students to elementary analog and digital electronics, computers, and treatment of analytical data. A book companion website is available, providing students with tutorials on instrumental methods, Excel files of data analysis and simulations of analytical techniques to help them visualize important concepts in this course, and selected papers from the chemical literature to stimulate interest and provide background information for study. The Principles of Instrumental Analysis 6th Edition book is jewel for chemist knowledge in junior or senior level. The best feature is that it provides a practical approach to understand the instruments foundamental behavior. Which is helpful for analytical chemist profession. This manual derives many experiments and procedures from the classic Feiser lab text, giving it an unsurpassed reputation for solid, authoritative content. The book includes new experiments that stress greener chemistry, updated NMR spectra, and a Premium Website that includes glassware-specific videos with pre-lab exercises. Offering a flexible mix of macroscale and microscale options for most experiments, this proven manual allows users to save on the purchase and disposal of expensive, sometimes hazardous organic chemicals. Macroscale versions can be used for less costly experiments, giving readers experience working with conventionally sized glassware.